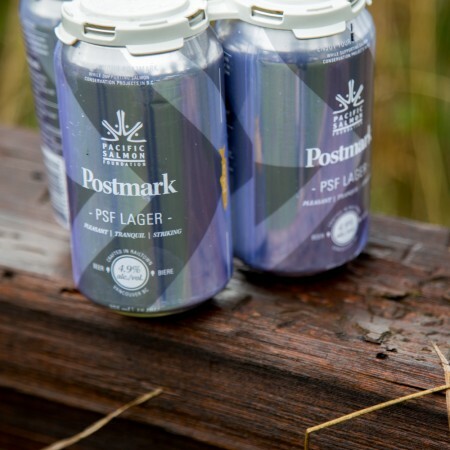 VANCOUVER, BC – Postmark Brewing has announced the release of a new beer that will raise money and awareness for a local foundation that is dedicated to protecting Pacific salmon stocks in British Columbia. PSF Lager is a 4.7% abv and 18 IBU session-style lager that is being released in partnership with the Pacific Salmon Foundation, an organization that raises money and makes grants to volunteer community groups that conserve and restore salmon fishing streams across the province. PSF Lager will be available in private liquor stores and licensees across B.C. in 355 ml cans and on draught. Partial proceeds from all sales will be donated to the Pacific Salmon Foundation.